A bit of a morbid subject matter considering the time of year we have arrived at, but nevertheless an important question to consider all-year-round. 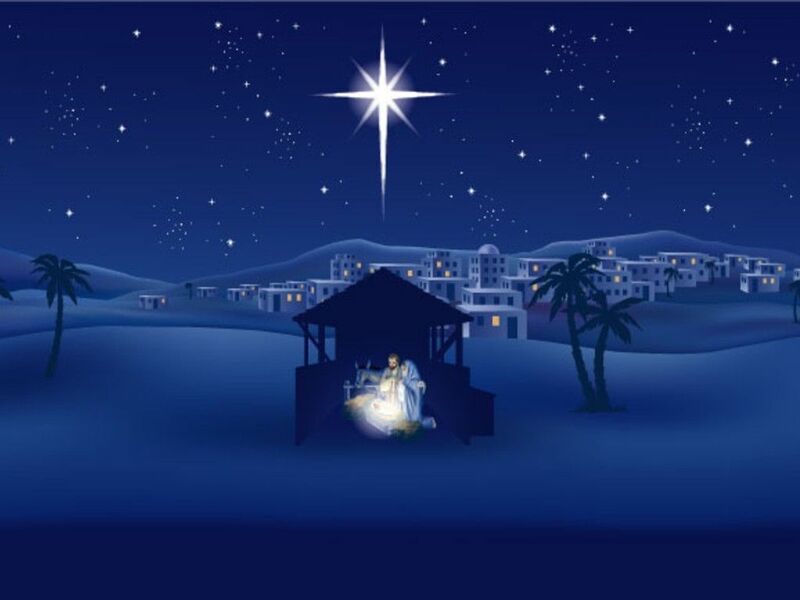 As we all sit down and get ready to tuck into our Christmas lunches tomorrow afternoon, we must consider that the reason we celebrate Christmas (Roman politics aside), is to acknowledge the birth of Jesus. As this boy grew up into a man and began his ministry, he embarked on a journey that would eventually lead to him being revered all around the world and widely regarded as the messiah, the Son of God, God incarnate; these are ideas I shall deal within this discussion and will lead me to ask the question: was Jesus’ execution necessary, in order for him to ‘fulfill his purpose’? Christology: The traditional understanding of Jesus’ existence is that he was simultaneously divine and human; he was God incarnate. God manifested Himself as a human in order to live among and die for us. This classic idea often goes hand-in-hand with a belief in the Holy Trinity. God exists as the Son, the Father and the Holy Spirit simultaneously whilst each of these three personas are mutually exclusive of each other; the Son is not the Father, just as the Holy Spirit is not the Son. This is quite a difficult concept to attempt to grasp and as this article moves forward, I will highlight some of the issues in this traditional understanding. 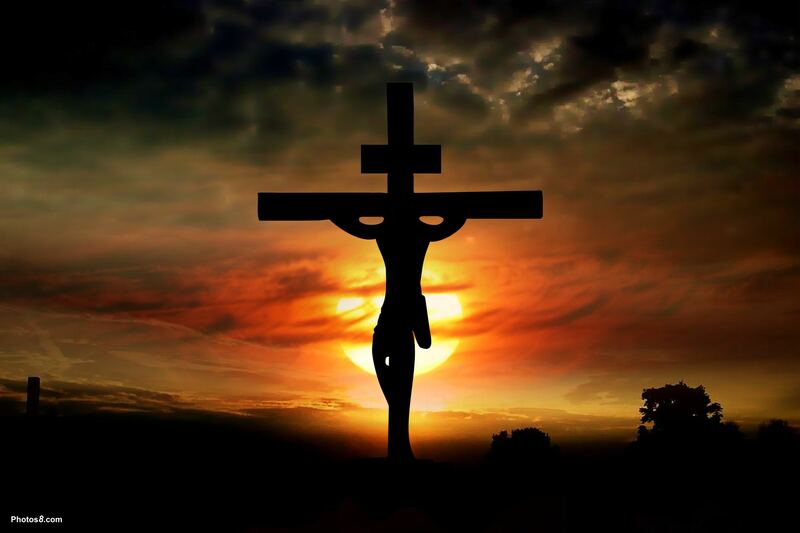 Salvation/Atonement: Undoubtedly one of the most important doctrinal areas attached to Christology, the traditional ideas surrounding Salvation and Atonement dictate that Jesus died on the cross in order to save humanity from its sins. Just exactly how this works logically isn’t often considered in conservative branches of Christianity, instead the idea of a celestial ransom is adopted; God offered Jesus as payment to the devil in order to rid humanity of its sins. This is just one of the conservative theologies concerning Salvation and Atonement but sadly I don’t have the time nor the requirement to go into this area in any great detail. Needless to say, the traditional theology of Salvation/Atonement sees Jesus’ death as a literal salvific event that rid humanity of its sins. Soteriology: This is understood as the work of Jesus throughout his life. There isn’t much else to say on this area of theology that adds anything insightful to this discussion; the miracles that Jesus is reported to have performed in the Gospels would contribute to a Soteriological understanding of Jesus as being divine. Eschatology: Any theology that discusses the ‘end things’ or the events that occur following one’s departure from the physical world, comes under the term of Eschatology. Jesus’ death and resurrection serves as an example to humanity what one can expect to happen upon completion of one’s journey to ‘perfection’. If one understands life as a journey of gradual perfection, once the ultimate level of humanity is achieved (as seen with Jesus), then one may enjoy an existence in unison with the Father. In addition to this, the bodily resurrection of Jesus serves as a demonstration of what is documented in the book of Revelation. Upon the arrival of the Day of Judgement, all human beings with be resurrected in an embodied existence to face judgement by God. This is not the only suggestion of the necessity of Jesus’ death by execution. One may argue that a traditional understanding of Salvation and Atonement may also pave the way for the question at hand to be verified. If the only way to secure and guarantee humanity’s salvation was to satisfy the forces of evil (i.e. Satan), then Jesus had to be be offered as a ransom payment; there was no other solution! Of course the above two points are centred on a traditional understanding of Christian theology, something that those of you who are familiar with my writing will know is not something I proclaim to believe in. So let’s take another look at this question, but this time, from a liberal perspective. I’ve already defined what liberal theology is many times in previous articles I’ve written so I shan’t endevour to repeat it here. A liberal interpretation of Christian doctrine may alter the answer to the posed question quite significantly, so it is important to clearly set out my own personal Christology. I am undoubtedly influenced by the work of John Hick and my dissertation research only helped to reinforce the faith I placed in Hick’s theology. His Christology argues against all traditional accounts of Jesus’ co-existent divine and human natures, instead suggesting a purely human existence that was lived in perfect response to the divine, based on the grounds that a supposed God-Man is both logically and metaphysically impossible and unjustifiable. Instead, the divinity of Jesus is to be understood as metaphorical. Just as Martin Luther King, Churchill and Mandela embodied the will and spirit of millions of people to fight injustice and to change the world, Jesus embodied the characteristics one would usually attribute to God and used them to bring about a new message of love, hope and peace. We do not say that King was literally the will of the millions of racially oppressed people; we do not say that Churchill was literally the will of the entire British population; we then cannot say that Jesus was literally divine or Godlike. So, if we understand Jesus as a fully human man who embodied the characteristics of God, how then are we to understand the significance attributed to his execution? What was so special about it? Those of you who were alive when Luther King was shot will know the impact it had on the world. We know the impact that Mandela’s suffering in prison had on the world. My point being that the suffering of these exemplar people influenced the world to change for the better; in the two above examples, the segregation of white and black people was gradually abolished and the idea now is abhorrent to (most) people in the 21st Century. So too was it with Jesus’ death. People then and now can see the positive work Jesus was attempting in First Century Palestine; he preached a message of loving one’s neighbour and enemy the same, to turn the other cheek when someone wrongs you – this was all pretty revolutionary stuff considering the Jewish notions seeking just revenge, “an eye for an eye” for example. When Jesus was executed, it sent a message to people; it was inspirational. People saw that this man was killed for preaching what he believed in and so inspired others to attempt to live their lives in a similar fashion. Now in terms of religiosity, Jesus’ death and suffering was perhaps more significant than that of King and Mandela, in that it is understood that Jesus lived in what may be called ‘perfect response to God’; this then is the inspired way of living seen by people across the world. If people who follow the example of Jesus (i.e. Christians) are now inspired to live their lives in a similar way to their ‘saviour’ and aim to live in perfect response to the divine, and Jesus’ execution is the event through which this inspiration took place, then it is undeniable to assert that the torture and execution of Jesus was necessary. This assertion then leads one to speculate that there must have existed some sort of divine plan in place to ensure that the ‘event of inspiration’ took place. What would have happened if the Scribes, the Pharisees and the Jewish High Priests had simply turned a blind eye to Jesus’ then heresy? Or can it be clearly said that it was inevitable for Jesus to be arrested and executed? The suggestion of a divine plan of sorts has had me thinking this past week and is the sole reason for my writing of this piece. I believe that Jesus’ execution is the reason humanity was and continues to be inspired to live better lives, but I am also under no illusion that his execution is the catalyst through which this inspiration took place. If Jesus had have been left alive then his eventual natural death would have had less an impact on those around him and the world; would we still have been as inspired to live a life akin to his? The possibility of a divine plan points to a more close relationship between Jesus and God that I have ever previously considered, not to mention dramatically altering my concept of God from a transcendent creating force with no involvement in the world, to some form of immanent entity that can influence events that take place on Earth. But I am man of principle and I refuse to accept the above suggestions. There is no logical explanation as to how or why God could interact with the world on an immanent level, let alone alter the events of one single man’s life; nor does it occur to me that it is at all possible that Jesus was more than a highly inspirational man who has helped shape the morality of millions of people across the world. So taking this into account, it appears as though the necessity of Jesus’ execution is called into question as the two certainties (the necessity of his execution and my Christology and theology of God) are incompatible. So, was Jesus’ execution necessary in order to fulfill his purpose? My answer, no. If we look at Jesus’ life it was already clear that he was amassing a large following of those people who liked what they were hearing; these people were being inspired to live lives akin to Jesus. As with all religious sects and cults, the more following they gain, the bigger they become and so it would have been inevitable that eventually, if Jesus had lived out his days as a cult leader (let’s face it, that’s what he was back in the day), then he would have gained enough following to have kick-started a group large enough to have been classed as a religion; Christianity – the followers of the Christ, the saviour. It is merely historical coincidence that Jesus was executed. Whilst it is unavoidable that his death acted as an inspiration for millions across the world and prompted the foundation of Christianity, what it did do was merely speed up this process; without it, it would have happened anyway. This is in no way to take away the significance of Jesus’ execution (that point is obvious, just as Luther King’s assassination cannot be ridden of its significance if the equal rights of black people had eventually been reached without it), but this discussion simply sheds light on a thought I had earlier in the week. Having said all that, the necessity of Jesus’ execution is really of little consequence. One cannot change the facts of history, but theologically it does add an extra dimension of enquiry that hopefully will be followed up in the years that come. Here’s hoping you all have a very Merry Christmas and a wonderful New Year. My last request; please don’t forget the true meaning of Christmas. Use this time of year to reflect on your lives and to see if there any changes you can make; try and live in a way that is selfless, giving and above all forgiving. We celebrate the birth of the man who lived that life perfectly, tomorrow, it would be a shame to completely ignore his life and example. I read this with a heavy heart. You ask us not to forget the “true meaning of Christmas” and yet you have clearly not grasped it yourself. “Father of all, when we were still far off you met us in your Son and brought us home. Dying and living, he declared your love, gave us grace and opened the gate of Glory…”. Thank you for comments Catherine. It’s difficult to write from a perspective such as mine because it’s inevitable that a lot of people will be offended or as you put, have their hearts made to feel heavy. You have known me long enough to know that whatever I write is purely from an academic perspective, an exercise of the mind as it were. There are many questions that for me are yet to be answered, and I do not find these answers from the traditional conservative interpretation of Christianity. Like I said in my piece, the conclusion I arrived at was based on liberal ideas that are for me, grounded in rational, logic, reason and science. Of course this is not to say that either your or my interpretation is correct! In my view, all interpretations have an element of truth to them, what’s important is the lives we lead as a result of our thinking and questioning. Our Christological and overall theological views are clearly vastly different from each other; I cannot pertain to believe that Jesus is, in any literal sense, the Son of God. But this is the whole point of my theological journey; I want to make sense of these beliefs and doctrines and it is without doubt that I will come across many conflicting accounts along the way. Your words, as always, have prompted thought and enquiry and for that I thank you. If my views have you completely at a loss then you could always read my dissertation! In there, I explore the liberal Christology a lot more fully than I have here; I would love to know what you think of that research. Peace be with you and your loved ones this Christmas. Although, the idea that some hellenized Jew, beaten, skewered and slung on a tree nearly two millennia ago, has or should have a profound effect on my or anyone else’s character development is ridiculous. The world did not simply “change for the better”. Racism was greatly curbed by the men you’ve mentioned, but Jesus’s effect was to inspire some of the world’s most infamous religious groups, usually within Catholicism, and still encourages homophobia in countries across the world. How many Jews were exiled in the name of Christ throughout history, usually thanks to the pitiously viscious anti-Semitic writings attributed to John and Paul? One is too many, try millions. Now this is replaced by the over zealous Pentecostals seeking out gays to beat and kill them in the street. Also, so many heter-odoxies exist which argue that Christ ‘s humanity does not detract from his salvific significance. Apollinarius, Arius and Nestorian are just a few early church fathers who fervently defend this view and are dismissed without mention here. Jesus did not need to be divine to stand as exemplar, but he needed to stand for much more than that, hence the desperate attempts at redaction in the letter to the Hebrews to draw tenuous links back to ancient sacrificial doctrine to justify the importance of his death and pseudo-prophecies like the one you cite, which detail some kind of foresight. If nothing else, the gospel’s accounts of Jesus’ and the impact it has had stand as testament to both the tenacity of Jewish zealots and their admirable perseverance, and the tragic corruption hellenism wrought through assimilation of ideas, turning a Jewish sect (not cult) to become a crude and twisted Roman mockery of Judaism. Hick may turn and declare that Jesus’ martyrdom/execution is just a dead man who was really close to God (the inspiration through which I find quite negligible), but he also proposed an audacious mono-religious pluralism and a most disgusting and surely regrettable theodicy. I tend to wish that perhaps he was metaphorical and not nearly as usurperous, arrogant and offensive. Firstly may I apologise for the lateness of my reply; work and MA applications have seemingly taken over my life and so I’ve neglected the blog for a while. Secondly, as a fellow theologian/philosopher, it saddens me greatly that your view appears horrendously bigoted and narrow-minded. The ‘anti-Christian’ rant you seem to have embarked on is completely theologically and philosophically unfounded, and seems fuelled only by some personal dislike for the Christian faith. Whilst Christianity is definitely not free from controversy and a questionable history, may I remind you that to ‘blame’ Jesus for this is totally unjustifiable. Nowhere in the Gospel accounts of Jesus’ ministry does it narrate that he preached an anti-gay nor an anti-Semitic ethic; Jesus’ overall message was that of love for one’s neighbour despite their differences. The subsequent perversions of this message – admittedly through the writings of Paul – but also through the politicisation of religion throughout history are to be blamed for the regrettable social attitudes towards homosexuals, and if you insist, Jews. As for your attack on my exclusion of ‘Church Fathers’ (of which Arius was considered heretical, so quite how can be considered such is beyond me), my theology aims to be contemporary; the inclusion of patristic theology goes against my theological mission. The idea of Jesus’ humanity may have been in existence long before Hick was writing, but I feel here you have misunderstood the purpose of this article. I was not writing to proselytise Hick’s theology, using it merely as a basis upon which to strengthen my argument. Your final comments regarding Hick’s pluralism and ‘regrettable’ theodicy again have me baffled. How one can consider Hick’s pluralism to be negative beats my comprehension; it is an attempt to achieve an all-encompassing theology of the ‘Real’, suggesting that all religions hold truth in their paths to the ‘other-wordly’ and that no one faith should be considered better or more true than another, a view shared by the completely non-denominational Theosophical Society. If this is to be discouraged, then you are either a religious exclusivist or just an atheist; sadly, both are positions which I strongly argue against. Hick’s theodicy, and indeed any theodicy is a deeply flawed and fruitless activity as, John Roth quite rightly argues, how can we dare to attempt to ‘justify’ the existence of evil? The task of theodicy should therefore either appeal to the realms of mystery (as concluded by Hick) or focus on a practical theology that aims to help those who are enduring suffering. Thank you for your comments and for the opportunity to get the cogs of my theological mind whirring again after so long. Any rebuttals are always more than welcome. *But I am man of principle and I refuse to accept the above suggestions. There is no logical explanation as to how or why God could interact with the world on an immanent level, let alone alter the events of one single man’s life; nor does it occur to me that it is at all possible that Jesus was more than a highly inspirational man who has helped shape the morality of millions of people across the world. * So taking this into account, it appears as though the necessity of Jesus’ execution is called into question as the two certainties (the necessity of his execution and my Christology and theology of God) are incompatible. So, was Jesus’ execution necessary in order to fulfill his purpose? My answer, no. I think it is true that Jesus’ execution was unnecessary, given your two conditions – non-acceptance of God’s ability to interact with the world, and Jesus as no more than inspirational man. And I think a lot of people think this way, which I had not understood before. I personally think that the possibility of a divine plan, that you mention, is more compelling than your reasons for 1. Not believing that God can interact with the world on an immanent level and 2. Seeing Jesus as no more than an inspirational man. I’m not so confident with expressing the logical possibility of God interacting with the world, but in the closest and best sources we have of Jesus, he does not name himself as only a highly inspirational man. Random comment, I know, but I happened across this, and was engaged. Thank you for writing.